Mike Greene - mgreene@shawmedia.com Various tents and shelters are seen during SleepOut for Shelter Saturday, May 12, 2012 at Immanuel Lutheran School and Church in Crystal Lake. Event participants spent the night outside in tents, boxes or cars to raise awareness and money for McHenry County PADS. 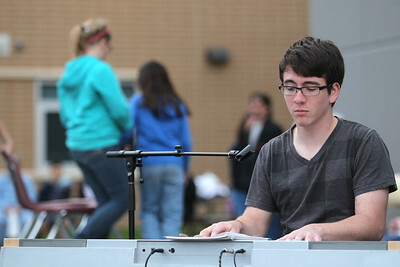 Mike Greene - mgreene@shawmedia.com Michael Banwart, of Algonquin, plays music for participants in musical chairs during SleepOut for Shelter Saturday, May 12, 2012 at Immanuel Lutheran School and Church in Crystal Lake. The evening included live music, testimonials and the chance to visit our "homeless experience" booth which will have games that share the trials and experiences of a homeless person. 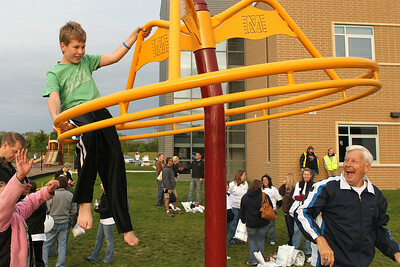 Mike Greene - mgreene@shawmedia.com Andrew Austin, 12 of Crystal Lake, rides park equipment spun by his granfather, Orlo Austin, at SleepOut for Shelter Saturday, May 12, 2012 at Immanuel Lutheran School and Church in Crystal Lake. Event participants spent the night outside in tents, boxes or cars to raise awareness and money for McHenry County PADS. 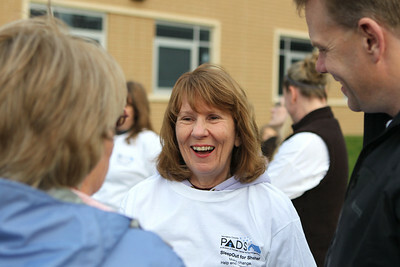 Mike Greene - mgreene@shawmedia.com Deb Martin (center) laughs while speaking with fellow Living Water Church members Peggy Kozlak (left) and John Conway at SleepOut for Shelter Saturday, May 12, 2012 at Immanuel Lutheran School and Church in Crystal Lake. Martin's church raised $6,000 for the event where participants spent the night outside in tents, boxes or cars to raise awareness and money for McHenry County PADS. 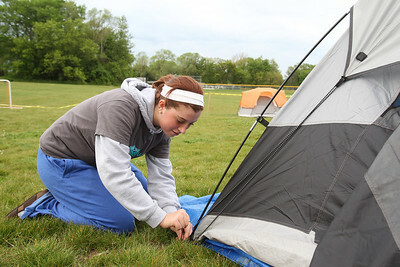 Mike Greene - mgreene@shawmedia.com Taylor Sullivan, 16 of Crystal Lake, works setting up a tent for herself and other members of the Willow Creek Student Impact youth group at SleepOut for Shelter Saturday, May 12, 2012 at Immanuel Lutheran School and Church in Crystal Lake. Event participants spent the night outside in tents, boxes or cars to raise awareness and money for McHenry County PADS. 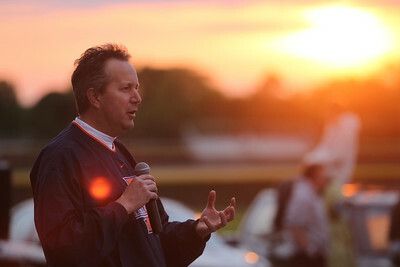 Mike Greene - mgreene@shawmedia.com Crystal Lake Mayor Aaron Shepley speaks as the sun sets at SleepOut for Shelter Saturday, May 12, 2012 at Immanuel Lutheran School and Church in Crystal Lake. 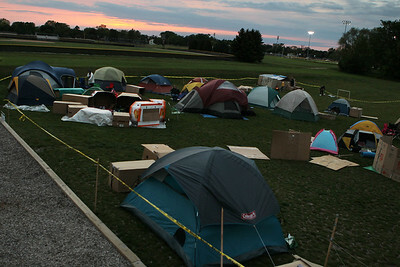 Event participants spent the night outside in tents, boxes or cars to raise awareness and money for McHenry County PADS. 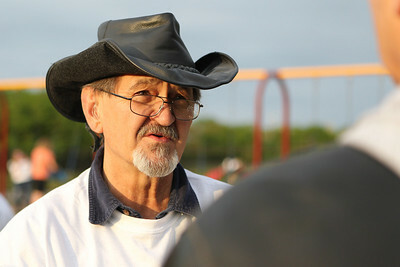 Mike Greene - mgreene@shawmedia.com William Lieberum, of Free Methodis Church, speaks with individuals about the need for a year-round shelter for homeless individuals at SleepOut for Shelter Saturday, May 12, 2012 at Immanuel Lutheran School and Church in Crystal Lake. 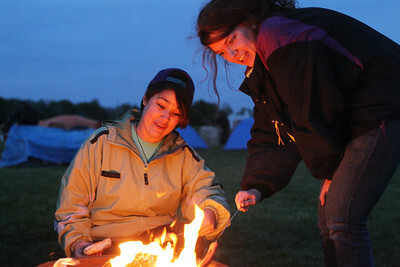 Event participants spent the night outside in tents, boxes or cars to raise awareness and money for McHenry County PADS. 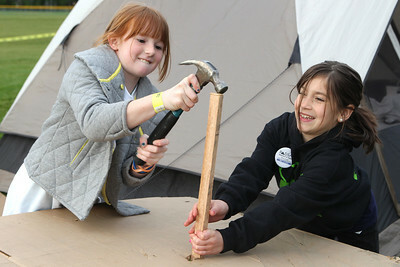 Mike Greene - mgreene@shawmedia.com Crystal Lake residents Laurie Sabol and Marissa Koch, 13, build a shelter Saturday, May 12, 2012 at Immanuel Lutheran School and Church in Crystal Lake. Sabol and Koch participated in SleepOut for Shelter, a countywide, educational experience and fundraiser, to help end homelessness in McHenry County. 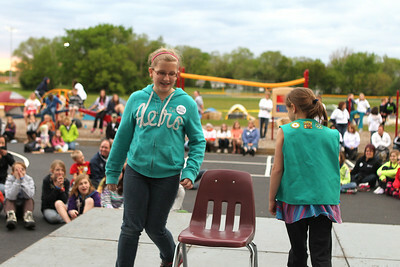 Mike Greene - mgreene@shawmedia.com Grace Knoeppen, 12 of McHenry, participates in musical chairs at SleepOut for Shelter Saturday, May 12, 2012 at Immanuel Lutheran School and Church in Crystal Lake. Event participants spent the night outside in tents, boxes or cars to raise awareness and money for McHenry County PADS. Mike Greene - mgreene@shawmedia.com Seventh grade students from Richard Bernotas Middle School chat in their tent at SleepOut for Shelter Saturday, May 12, 2012 at Immanuel Lutheran School and Church in Crystal Lake. Event participants spent the night outside in tents, boxes or cars to raise awareness and money for McHenry County PADS. Mike Greene - mgreene@shawmedia.com Sarah Bogaert, of Palatine, and Erika Huckins, of Lake in the Hills, roast hot dogs during SleepOut for Shelter Saturday, May 12, 2012 at Immanuel Lutheran School and Church in Crystal Lake. Bogaert and Huckins are members of the Willow Creek Student Impact youth group which participated in the event to raise awareness and support for the homeless. Mike Greene - mgreene@shawmedia.com McHenry residents Sam Rosga and Katlyn Ryczek, both 9, work preparing their shelter for the night at SleepOut for Shelter Saturday, May 12, 2012 at Immanuel Lutheran School and Church in Crystal Lake. 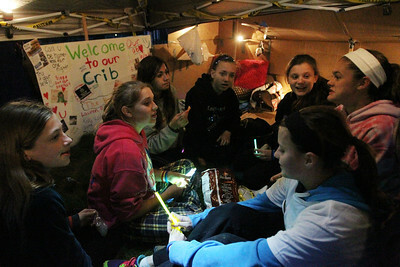 Event participants spent the night outside in tents, boxes or cars to raise awareness and money for McHenry County PADS.